Have you ever wondered why you operate differently and how to leverage your natural sensitivity? If you’ve ever felt stuck or overwhelmed due to feeling so intensely, here’s a helpful resource I wish I’d had when I began on my own journey. In today’s fast-paced world, honoring your sensitivity can feel like a lonely road, and yet there are many people on this path! Why do some people hear from their “deceased” loved ones while other people do not? Have you suddenly had a wave of anger or depression or anxiety come upon you? There you are, minding your own business, when “bam!” you feel like you are about to cry or slap somebody. When you have a sudden and unexplained mood shift, you have likely encountered discordant energy of the collective human field. Or perhaps something in your soul history is coming up for review and re-calibration. When warm air and cool air bump into one another in the stratosphere, it can create thunder and lightning. When you encounter energy that is out of alignment with your personal frequency (higher self/soul essence), you feel it in your body and/or emotions. Sometimes random and hateful thoughts pop into your mind and you question whether this is your energy or not. I’ve learned that all energy is mine once I interface with it. Hold your vibration steady by taking a deep breath and acknowledging that you have the ability to manage energy. These sudden mood swings can also be an indication that something in your psyche is coming up for better alignment. The protocol is the same–acceptance, self-love, and non-resistance. Realize that this is nothing more than energy passing through you as a conduit. Hold your frequency steady. Allow and be. The good thing about sudden mood shifts is that they can shift suddenly for the better. Empaths are energy transducers and transmuters. The mission of a transducer is to step down “high-voltage” energy (for lack of a better description) so others can receive it without being knocked off kilter. Transducers have the ability to consistently maintain connection with higher realms of consciousness. As such, they can receive cosmic frequencies with intrinsic coded information and convert them to a frequency band that others can handle. All bodies are evolving to a level that can handle these coded frequencies without having it blow their electrical circuitry. These codes are sent to help the body shift its molecular structure from density to crystalline, and to open the DNA so the divine human can emerge. Delivering these codes is part of what occurs during my light language treatment sessions. The mission of a transmuter is to raise the frequency of any energy they encounter that is vibrating out of alignment with their natural state of higher consciousness. It is important to know what your true vibration feels like and to be able to maintain that frequency when you are transmuting. This can happen anytime, even when you are not around people. We are all connected. Sudden mood swings can be an indication that you are transmuting energy for yourself or the collective. How a person manages energy makes the difference between being dragged down/feeling drained and being unaffected or actually energized by the effort. Becoming sovereign in your thoughts (acknowledge them, but don’t invite the yucky ones to stay for dinner) can change everything you experience in your emotions. If you think that you are going to be taken down by an entity attack, a psychic vampire, or someone else’s bad vibes, you may likely have that experience. Acknowledging, without forcing a change in, whatever is going on in the moment is like standing still in a storm and letting the wind and rain blow through you. And if you do get knocked down you sit/lay still on the ground and reconnect with your higher knowing and continue to let the storm blow through you. No struggling or trying to control the storm. Don’t get enmeshed with your thoughts. Just be still and know. You are the storm. Become one with it and your powerful vibration. There is no battle to be fought. Know and accept the highest version of who you are. Everything is energy through which we are all connected. If you need assistance with consciously managing energy, please let me help you with a coaching session or light language treatment. We can start with a free 15-minute consultation. Do you sometimes feel out of sync? It seems like something’s not quite right, yet you can’t put your finger on it? When singing as part of a choir, it is important for everyone to be in tune as well as on cue and moving at the same tempo. The same is true with energy. We are the transmitters, tuners, conduits, and receivers of energy. We are energy. 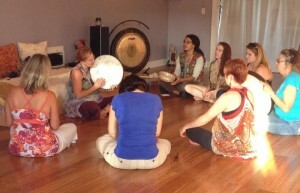 when we align with our true nature or authentic “pitch” we make the most beautiful music. And, we feel alive! By matching musical or geometric frequencies we can make a connection with our soul aspects, galactic family, ascended masters, angels, and other beings in higher consciousnesses. You can feel this shift in your body, mind, and emotions. My clients say they can feel the energy field or frequency band drop like a curtain around them when I begin speaking or singing light language. I get to teach them how to access these frequencies and begin to maintain them. So much fun! Toning and singing in light language brings an immediate shift in my personal field and ushers in the tangible presence of the beloved beings I work with in helping my clients re-calibrate to their “home” frequency. These galactic technicians, surgeons, and specialist have the needed skills to open and align DNA and attune the body on a quantum level. I can tell when I access various frequency bands by the way the energy feels in my body, or I have a sense of knowing that this is occurring during a client session. Many times a light language mantra is given to help the client access this portal after our session. This is one of the most important pieces of the session. I would love to know what you experience with those two mantras. You might find yourself speaking other mantras, which is really cool! Feel free to leave a comment below. From our connection with these higher consciousnesses, we see multiple reflections of ourselves and we begin to align with a more evolved aspect of ourselves. That is when “healing” (which is actually an aligning or attuning) occurs on all levels. Please let me know if you would like to schedule a light language session. As the biological body shifts into the light body, the old cellular structure is dissolving, giving birth to a new crystalline structure. For some who are sensitive, this can be an uncomfortable experience until enough of the form has been transmuted to allow for a purer vibration to take hold. The detoxification process can bring about body aches and pains (flu-like symptoms) or fatigue that our current medical doctors cannot explain or treat. It is not uncommon to experience unusual sensations in your body or chakras. There could be pressure on top of your head, tingling on your scalp or forehead (especially between your eyebrows), or energy surges in your body. Pain, hot flashes, and chills are also reported. Body aches and pains may be directly related to regions in the subtle bodies that are holding the energy or patterns of abuse/trauma. Headaches may indicate that the third eye is opening. Stomachaches could indicate that the feelings/emotions you have stuffed are ready to be recognized. Chronic cough could mean you have something to get off your chest–something you wanted to but felt you could not be honest about. A sore throat or pressure in the front of the neck may indicate you are opening to light language. All of these shifts bring more awareness of your higher self trying to come through to help you live in greater authenticity. These symptoms should subside once the energetic condition is cleared and the body has acclimated to the new vibration. Until then, take advantage of energy therapy, acupuncture, aromatherapy, exercise, herbs, homeopathic remedies, mineral and vitamin supplements, salt baths, massage, or other holistic methods necessary to handle the discomfort. Because organs and glands within the body are changing to accommodate the light body, your arms, hands, feet, or legs may tingle when you are receiving energy work, meditating or doing conscious breathing. For more than ten years, I have experienced the sensation that someone is lightly touching or playing with my hair. Your body may be responding to accelerated frequencies by changing its DNA and physical functions/processes to include light as a fuel source. Therefore, if you are not getting enough sunlight, you may feel more aches and pains, especially in the mornings. I have found that more sunlight and a supplement of vitamin D3 helps—particularly in winter. As the body moves into faster vibration, it requires more energy, which means your normal six to eight hours of sleep may not be enough—especially if you are dealing with health issues. I find that yoga stretches and other forms of body movement help me feel more energized because these actions collect chi and direct it throughout the body. If you tire easily or experience fatigue throughout the day, your body may be urging you to rest, sleep, exercise, stretch, and eat/drink more healthily. Give your body what it needs, which may include nine to twelve hours of sleep in a 24-hour period. You’ve no doubt heard of chronic fatigue syndrome and fibromyalgia. While this can come as a result of taking on the energy of someone else in order to transmute it, some of the aches, pains, and lethargy we feel as we age are from years of toxins building up in the body. Antibiotics and an acidic diet (high in sugar, alcohol, animal products, and processed foods) can create an internal environment for yeast to grow to a toxic level. Left untreated or given improper treatment, this condition can invite cancer cells to grow or put one at risk of diabetes and heart problems. I’m stating this because many people have yeast overpopulation in their bodies and don’t realize what is causing them to feel so bad—they may even think they are just having ascension symptoms. In one way, all this is ascension related because this shift we are making is pushing every detrimental thing to the light and giving us a chance to cleanse it, modify our lifestyle, and transfer into our light body. Never brush off your body’s signals or your intuitive clues as unimportant. If you sense that there is an underlying medical problem, please see your holistic medical doctor for treatment. The ascension process can cause physical, emotional, and mental overload. Some people report heart palpitations with difficulty breathing and have thought they were having a heart attack. Two close family members who are on a path to ascension have been having irregular heartbeats and/or a racing pulse. Both had EKGs that showed their hearts are fine. When nothing abnormal can be found in medical testing for heart health, these symptoms may be attributed to the opening of the heart chakra. Kundalini is hot energy, like fire, and allows for the burning off of karma, contracts, and soul agreements that must be released in order to hold higher frequencies in the body. Kundalini has often been associated with sexuality, but sexual activity is not necessary in order for the Kundalini to awaken. During these hot flashes and sudden sweats (both day and night), the toxins that are being released in the biological transmutation process are being pushed out through the pores of the skin. This hot energy that hits suddenly is so intense at times that you may feel a slight state of panic as it surges through your body. It used to be that only women going through menopause experienced hot flashes. These days, young women and even men are having hot flashes and are sensing the rising of a faster vibrating Kundalini energy system. I had “tropical meltdowns” for three years before I finally went to a holistic doctor who was able to treat me with natural supplements and bio-identical hormones, which helped greatly. And, it’s not just hot flashes! Many are reporting cold flashes as well. These conditions are not dependent upon the temperature in the room. They come instantly and randomly. There are many other symptoms that can be attributed to spiritual growth. Never take for granted that what you are experiencing is just an ascension symptom. Listen to your body’s wisdom and get the help you need.